How to exchange data files of Mindjet Mindmanager ? Pic. 1. A mind map exported from ConceptDraw MINDMAP to Mindjet Mindmanager. One formula of professional mind mapping. How to make great presentation via Skype? ...how it works with ConceptDraw MINDMAP ? 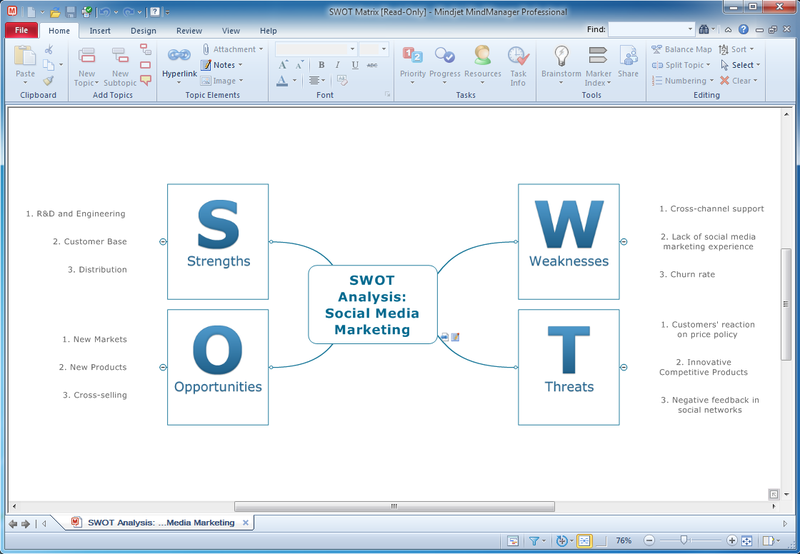 How to exchange data files of major mind mapping software? Data Exchange - Tools to exchnage data files of major mindmapping software for team collaboration. The Mind Map Exchange solution allows you to share mind maps with others who have 3rd party mind map applications. Picture: How to exchange data files of major mind mapping software? How to do presentation via Skype using mindmaps of Mindjet Mindmanager ? Tools to do presentation via Skype using mindmaps of Mindmanager. Picture: How to do presentation via Skype using mindmaps of Mindjet Mindmanager ? No need for any special drawing skills to create professional looking diagrams outside of your knowledge base. ConceptDraw DIAGRAM v12 takes care of the technical side. Use templates, samples and special libraries for your needs. using mindmaps of Mindjet Mindmanager ?